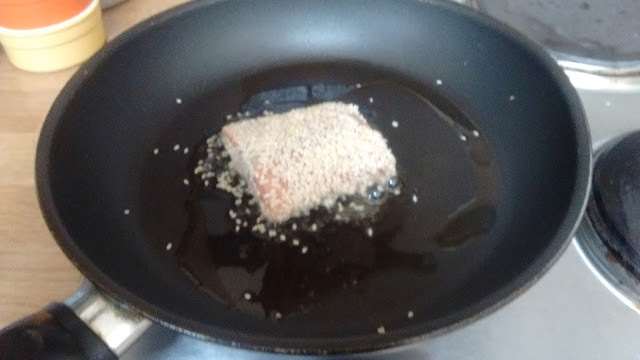 Coat your salmon in sesame seeds and then cook it in a frying pan with some sesame oil. Toast the bread bun and put a layer of thinly sliced cucumber and onion on it. 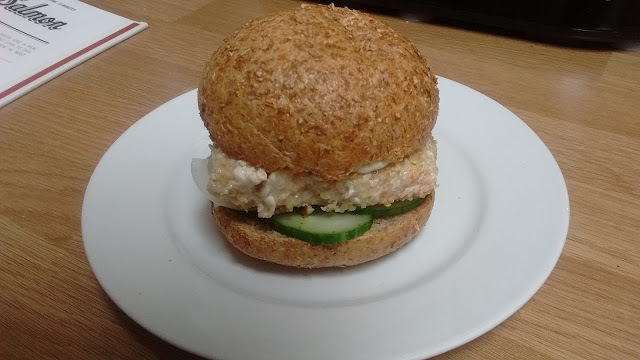 Top with the salmon, I also added a bit of mayo or you could use tartar sauce. My misgivings were unfounded, this burger was great. The sesame flavour was quite strong from the oil but it goes really well with salmon. 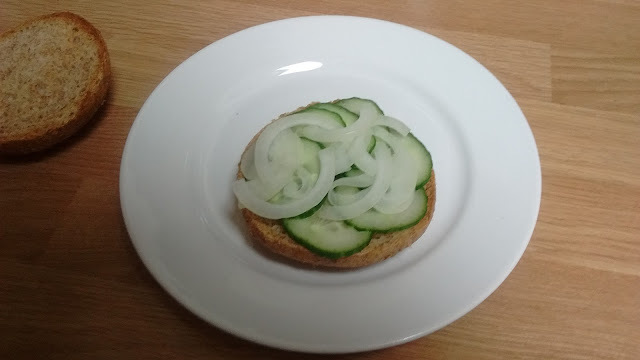 There was a nice meaty bite to the whole burger which is just what you want. I enjoyed it a lot more than I thought I would.